Dr Bai has won numerous accolades. He was honoured by China Law and Practice as the China IP Lawyer of the Year 2015. He was also selected by Who’s Who Legal: patents 2015 as one of the world’s leading patent lawyers. Managing Intellectual Property named him as an IP Star for patent licensing, protection and litigation and trade secrets in 2014, 2015 and 2016. Chambers Asia and the Legal 500 recognised him as a leading Chinese IP practitioner from 2008 to 2016. 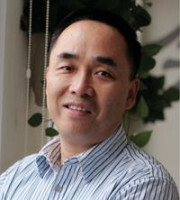 Dr Bai obtained his JD from the University of Texas, School of Law and his PhD in chemistry from Rice University. He obtained his BS from the University of Science and Technology of China.